ATTN: Keep an eye on the steady stream of articles and news stories coming out about life on other planets, UFO's and US Space Forces... The MIC SSP Disclosure time table seems to be on track. The PTB will not be able to control a partial disclosure. It will spread into a Full Disclosure Event. So much about the various SSP's have now been disclosed that the only option the PTB (Almost were) have is to discredit the Full Disclosure narrative. With the campaign to discredit the Full Disclosure narrative and whistleblowers failing last year we now expect "fresh approaches" from the PTB. We certainly expect more Disinformation and LARPER campaigns to attempt to discredit and "Super Soldier" the full SSP Narrative as well. Disclosure will not be controlled or censored. Full Disclosure will come from all of us! You are Disclosure! We look forward to working with a few key groups in organizing the community for mass meditations and peaceful marches demanding the release of suppressed technologies very soon. Please keep an eye out on social media for announcements. I am seeing Star seeds waking up to their missions faster than ever before. The more active we become the more they will pursue us... With unity we are unstoppable! Please focus on Disclosure and on expanding the mass consciousness. This is our true mission. We need to stay focused and not get diverted or divided during this key time window. Things are really getting exciting and dangerous in the background! We are so close to the finish line with the battle against the Cabal and we are winning. Thank you to those that continue to support those who are putting their lives on the line to bring about Full Disclosure. Please also join David Wilcock, Emery Smith and I at Dimensions of Disclosure. We expect this to be a community summit of sorts. We will also be showing the finished version of our Documentary "Above Majestic" and announcing how we will distribute it. Please, see this article from last month that I just became aware of. It can be exciting to receive predictions of impending disclosures. Considering the accuracy of similar past predictions from Corey Goode's sources, there may be a good chance that the above foresight of Alliance disclosures in the near future are accurate as well. There has already been a great amount of disclosure coming forward in recent weeks and months. Already, we have seen announcements about the possibilities of building bases on the moon and Mars, of peace treaties made possible by highly advanced weapons systems, and of course, about President Trump's declaration of the need for a futuristic—yet presently existing—space program. Additionally, we've heard the now scientifically verified principle that life in the universe is common, that human history is at least 50,000 years older than we previously believed, and that humanity now has the ability to travel the stars. We have even received a number of mainstream suggestions that there had once indeed been "aliens," but they are no longer present in our vicinity of the universe. One would think that each of these disclosures would have transformed our society to a state which we may not recognize from our present one. Yet these announcements came and went with little or no response from the average MSM audience. Many of these announcements by the MSM were said to be predictions of SSP personnel, and in each case, these disclosures (or something similar) were consistently proven accurate over the last few months and years. With this in mind, we might each be thinking about what announcement might possibly come next for the public and what the possible impact might be. It is common that any time there is positive progress toward greater revelations of truth, there are those who attempt to stop this revelation from occurring. Naturally, the current (and yet waning) established order operates on a foundation of secrecy and control. The outgoing establishment has operated by these principles ever since its conception. If suddenly, this secrecy were to disappear, all of the financial supremacy that the elite have maintained for the past century would crumble. Consequently, these individuals will typically hire as many assets as possible to sew discord, doubt, and division among the people in the hopes that the truth will become lost within the distraction—thus protecting the Cabal's ill-gotten power. Usually, the method of diversion from key revelations hinge upon a number of deceptive, yet discernible factors. More often than not, deceptive sources will produce information which is largely true, but along with that truth, there will be an element of sensational falsehood or distraction included. Distractionary material can manifest on many different levels. These levels can range from those which the corporate media tends to dish out on a regular basis to those we see from the average troll online. There can be subtle difference between the tactics used. However, in general, the methods of corporate media and the internet troll are typically the same, and include a variety of demeaning and/or demoralizing material which masquerades and important information. The general strategy involves using a person's emotions against them in order to divert their attention away from pertinent information. To do this, assets will typically attempt to provoke us to anger, fear, or superficial indignation. When our attention is diverted through these or similar emotions, then comes the payload of half-truths, derogation, manipulation on a number of levels. To learn more about these tactics, I would recommend studying the various tactics of narcissists. We might also do well to learn the different types of logical fallacies, as the use of such fallacies can be a common sign that a person is attempting to manipulate us. Thirdly, it is important to know that many of those who practice the more advanced version of these divisive tactics are often alinskyites by practice (those who follow the Machiavellian philosophy of Saul Alinksy). For those who are unfamiliar with the beliefs and tactics of Saul Alinsky, the most you might want to know about him is that he was a satanist who believed that society needed to be constantly controlled by manipulative means. These people actually believe that they (those who believe as they do) are the only order within a chaotic and disorderly universe, and that the only way to have control in the universe is to subdue everyone and everything around them by any mean necessary. Even though these individuals use divisive tactics, they still typically follow a predictable set of practices to achieve these goals. I cannot recommend reading Saul Alynski's work, as it is definitively satanic material, but for those who feel inclined to study these tactics, I recommend doing a Google (or Duck Duck Go) search. Just be sure to keep your vibrations high, and your thoughts positive and constructive during the process. By educating ourselves in these ways, we can be keen on any possible intentions to derail a complete revelation of the truth. If we have the goal of assisting the entire truth in coming forward, it is important for us to gain the ability to discern the difference between a partial and a full disclosure event. 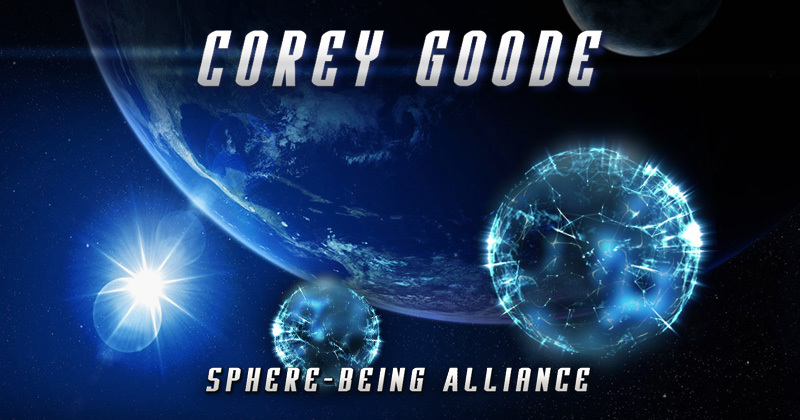 For this insight, we turn to the FAQ section of Corey Goode's website, SphereBeingAlliance.com. This excerpt comes from a question which was asked back in 2015 and deals specifically with the subject of differentiating disclosures. Question: Hi Corey. You commented on Dr. Salla's page that anything less than Full Disclosure is a sign of 'SPIN'. With that being said how would I or the average person know that we are getting FULL DISCLOSURE when information starts to come out? CG: A full disclosure event would consist of a major data dump on the Internet with many hundreds of thousands of document, audio and video files on multiple mirrored sites for everyone to have access to. There would be a collapse of the corporate media machine and a 24/7 television and radio education campaign would be initiated .Not all channels and stations would be co-opted so people are not overwhelmed and could "tune out" as they needed to due to the stress. This seems to be a sound answer. It is commonly known that any establishment is founded upon financial control and superiority of an upper class over the common population. These controlling establishments are also founded on a system of imbalanced privilege. In such a system, laws only apply to the poor. The weak and destitute are left to suffer as they remain vulnerable to an unfair legal system while the excessively wealthy enjoy life above any governance or restrictive law. Any information which would topple this system of control would naturally be a highly guarded secret in comparison to all other, less sensitive information. Naturally, the secrets of those whom—up until this point—we have not been allowed to question without violent opposition are the very secrets which must be revealed most. This is why the revelations of such sensitive information can be a clear sign that a full disclosure event is in progress. Keep an eye out for the upcoming release of the highly anticipated, independently produced documentary of key disclosures, Above Majestic.